I’m home from vacation now, and look what I came back to! It was in the 50s (10s) when I left, and now look at it! 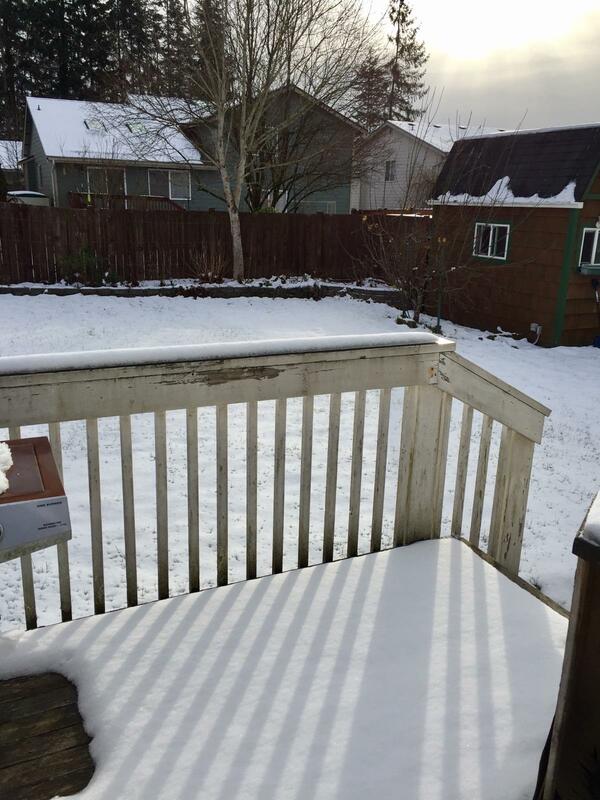 It’s the never-ending winter, I swear! 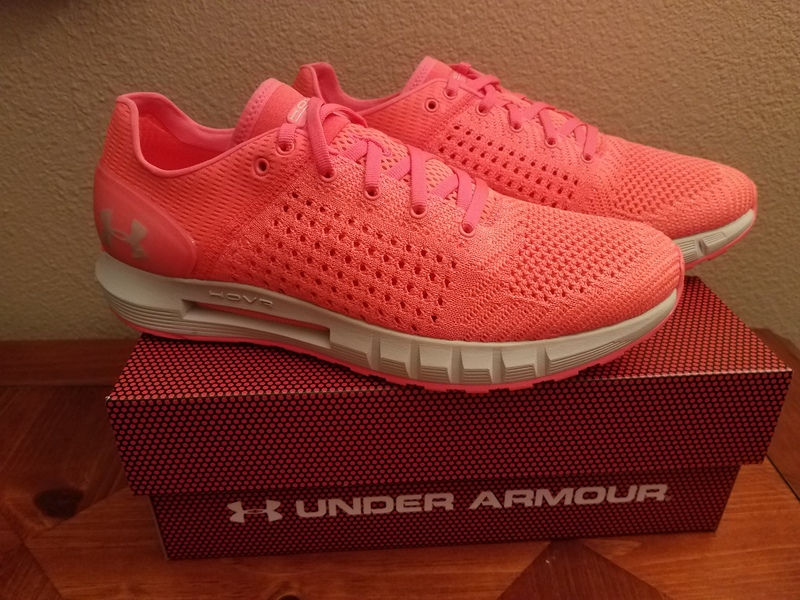 Disclaimer: I received a free pair of Under Armour HOVR Sonic shoes as part of being a BibRave Pro. Learn more about becoming a BibRave Pro (ambassador), and check out BibRave.com to review find and write race reviews! As always, all opinions are my own and based on my personal testing experience. As they come with a sensor in the heels, they connect to Map My Run or Map My Fitness so you can track all your running data. For us data geeks, this is a super cool techie thing. The shoes track your cadence, stride, miles, pace, and splits. 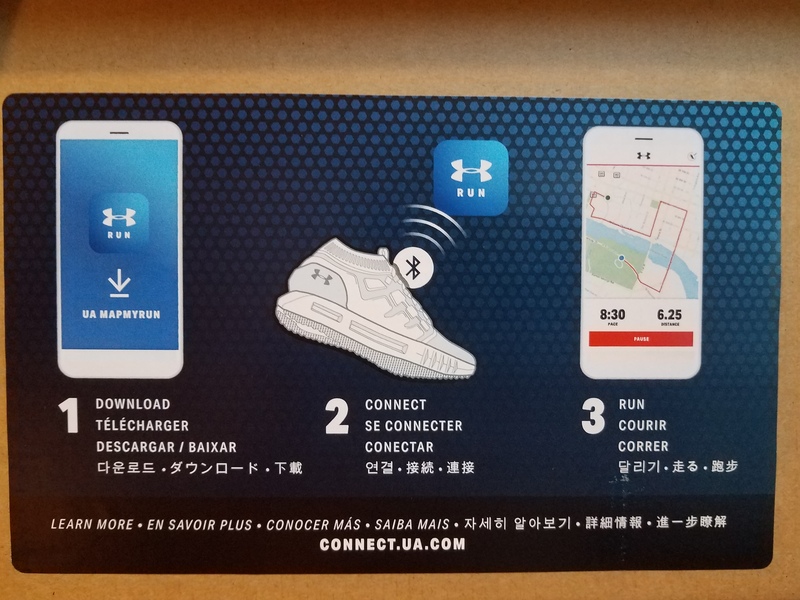 All this data stores in the shoe’s sensors so you don’t have to take your phone with you on your run, and it syncs up nicely to the app when you’re done. As a lot of you may know, I’m a fair weather runner and I do the majority of my running right now on the treadmill. 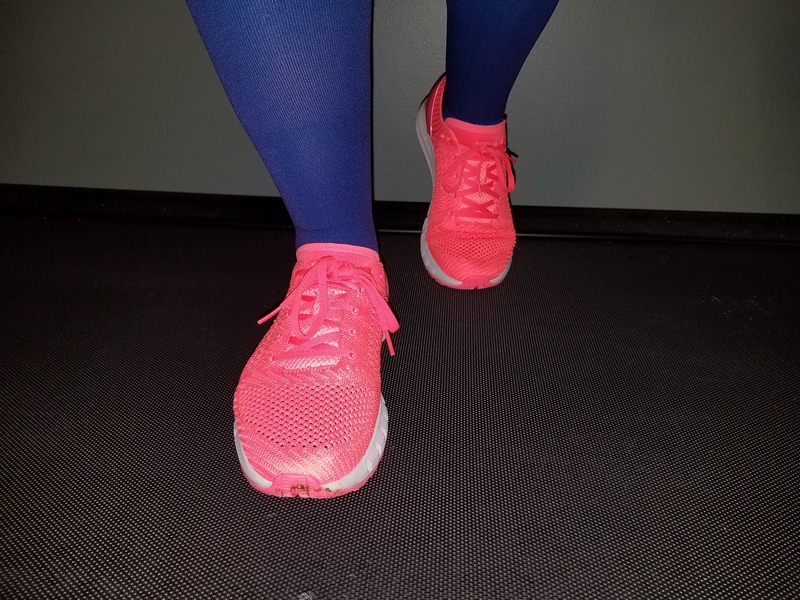 These shoes are fabulous for treadmill running. Sometimes your watch and treadmill don’t always coincide, ever notice that? But as the shoes are tracking your stride and cadence with sensors in both heels, this seems to line up nicely. I also give them two thumbs up for appearance. I love the “Brilliance” color I received, and the microthread upper is unique looking and breathable. There was only one downside to these shoes that I noticed… the traction. They do great on dry surfaces, but I went for a run a couple of times after it had rained and/or while it was sprinkling, and I felt they were a little slippy. However, that being said, I will have no problem running in them once the rainy season has stopped in July. In summary, these are very comfy shoes with a very comfy price point of $100, especially for what you get. As I prefer a more cushioned shoe, I wouldn’t run further than 10 miles in them, but I think that’s more of a personal preference as everyone is different. These shoes are definitely staying in the rotation until they wear out! Has anyone bought any new shoes lately that you’re excited about? If so, what’d you get? As I’m so behind on my blogging, anyone got a race coming up soon? Is your part of the world warming up yet???? 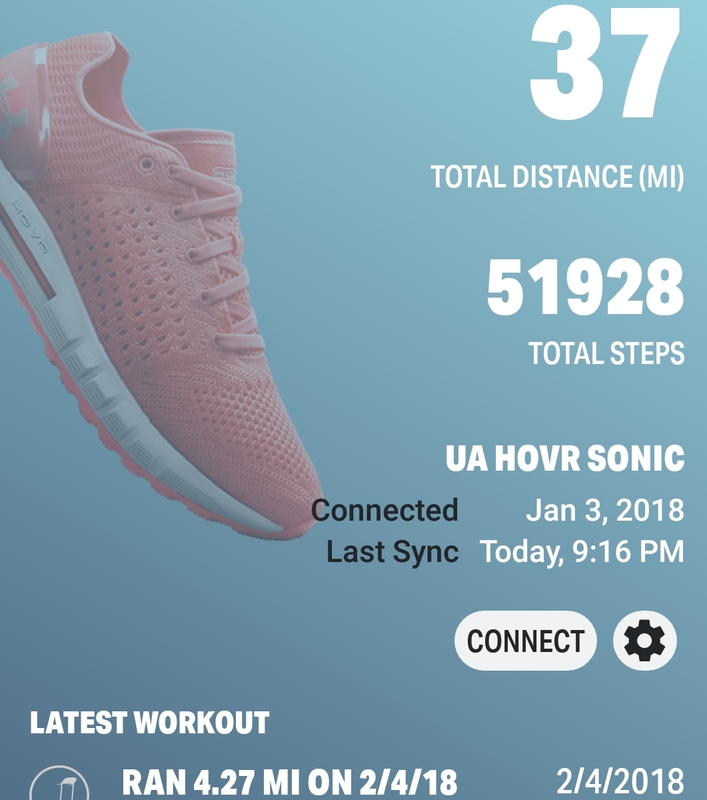 This entry was posted in Product Review and tagged bibchat, bibrave pro, data tracking, Half Marathon, HOVR sonic, map my fitness, map my run, running shoes, training, under armour on February 21, 2018 by Paula. I do love a new pair of kicks… Enjoy! I know I have to catch up with you, but I think I know you well enough that the warmer weather may have meant some outside riding?! Awesome! Sadly, not much. We had to deal with some ridiculously intense rain. Spring here is always a little messy. Love the colour… the are in this months Womens Running mag! Did fancy the look of them! Hiya Sharon! No, this is only my first pair with a sensor. I had never heard of such a thing before, so I thought it was super cool. Ooh. 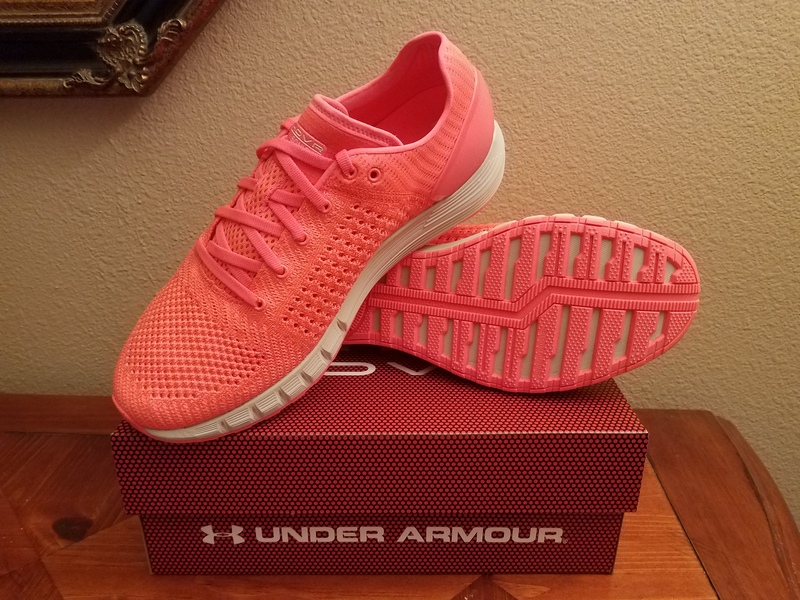 Not only are the shoes a really cool technological advancement, but they are also a hot color! Question is, are they comfortable for longer distances? Oh! And I also got a new pair of shoes (had to pay for them though ;-)) Brooks Glycerin 14. Still have to wear them in, but so far I like them. Ohhh, awesome!! Are those going to be THE shoes for April then? Not necessarily. We have to see how much good they do once worn in. Right now, my feet are rebelling. 🙂 but they will hopefully get me to the starting line healthy! And ha ha. Whoops. You had answered it. I guess I conveniently looked that part over, since I’m into a little more cushioning myself as well. Sigh. We did warm up yesterday. And presently it’s snowing. Hey, it IS winter, after all! That’s a great price point! Mr. Judy desperately wants to be a snowbird. He also wants dogs. I want a cat, although I’m not sure what will happen when Giz is gone. Cats are so much easier than dogs. Anyway, I just don’t see how it’s going to happen. I’m super behind on blogging too! I dropped off the face of the earth and stopped reading other people’s blogs. It made me sad. The shoes look super nice! I like the idea of the sensor for treadmill running. I was always annoyed at how it was off when I ran on the treadmill. haha Hope you had fun in Hawaii! Thanks Mai! Hawaii was fabulous!! Can’t believe it’s already over!! Sometimes it’s hard to keep up with the blogging, especially when we get super busy. You’ll get back to it when you’re ready, so don’t worry. Wow! Shoes that look good and have amazing technology! I confess I’m tempted to buy a pair! We are having another cold snap with more snow due, but it’s dry and clear so good for running just now! Wow, these are cool! I have never worn anything like this.